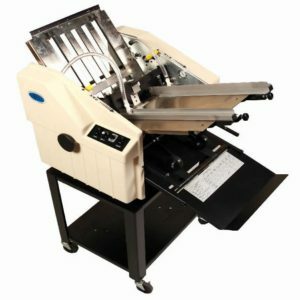 Profold Elite Series Vacuum or Friction Folder - Roberts Business Machines, Inc.
Profold’s tabletop folders provide big machine performance at tabletop prices. 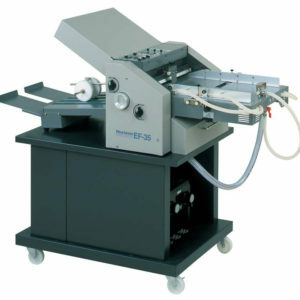 The product line consists of two vacuum feed and one friction feed model. All have bottom feeding top loading design for continuous use. 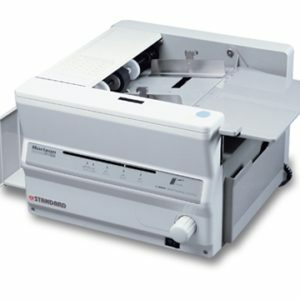 Simplified design makes the Elite 500 folders easy to operate. The feed and delivery stations are on the same side for operator comfort and convenience. Set up is quick. The fold stop design and fold chart provided reduce set up time by illustrating exact plate settings for all commonly used folds. Micro adjustments allow precise fold settings to be dialed in after the primary fold settings have been made. 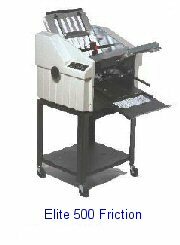 The Elite 500 vacuum feed series handles coated stocks and is unaffected by press spray powder. 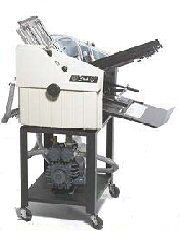 The vacuum model also eliminates ink smudging and allows most product to go directly to the folder on offset stock. 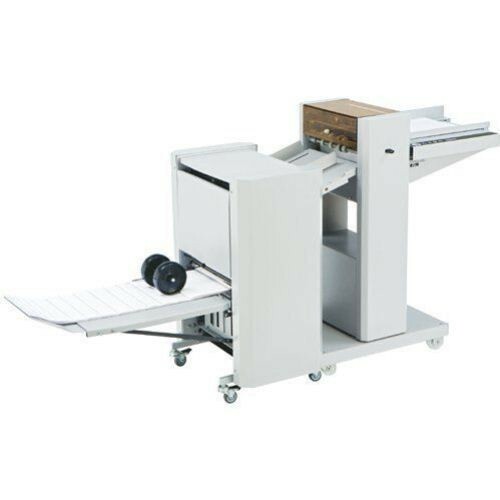 The Right Angle unit is unique in the fact that folded product is delivered to the top of the unit for easy, stress-free removal. This feature maximizes operator productivity and reduces potential work related injuries.